I have come to the conclusion that Nokia or whoever is in charge of making decisions might not know what they are doing over there at Espoo, Finland. 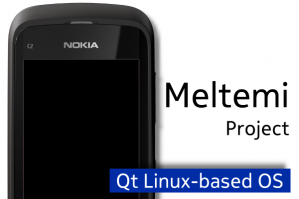 Just less than a year ago Nokia announced Meltemi, a Linux based Mobile OS that will power Nokia’s new range of low end devices and now before a device actually materializes from this Meltemi project, we are hearing (from AllthingsD ) of the demise or AXING of the whole Meltemi project, on the plus side this is a better scenario than what happened with MeeGo, where shortly after releasing this awesome Nokia N9, Nokia announced they are killing the Meego Project but will still “support” the Nokia N9 (which if you don’t know by now is currently supported by dedicated Meego Dev’s). Little wonder why the company’s stock is currently under valued, the company’s value is now at $8billion dollars (down from $10billion) and is currently trading at close to $2/share. Nokia needs to get their priorities straight, if you have a plan stick to it and see it through, these flip floppings have to stop. Are These Pics of a Never To Be Released Vertu Windows Phone?